"We have an urgent mission. We need to review, revamp and reinvent the development and delivery of education so that every young person that wants an education is able to get one." In 2018, the Limkokwing Foundation for Creativity and Innovation embarks on a historic mission to Transform 100 Million Lives. 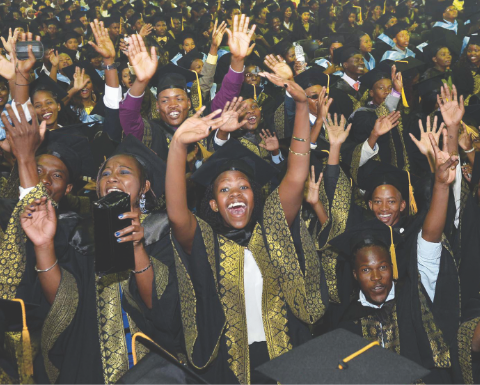 The dream is big, the aim is simple – to ensure at least 100 million youths from disadvantaged backgrounds and marginalised communities are able to go to university to pursue a degree of their choice.We will provide full scholarships to deserving young men and women to attend Limkokwing University to gain a world-class education. Half the world’s 7.6 billion population is under the age of 25. They are the biggest youth generation in the history of mankind. At least 90% of them live in the developing world, in ways most of us cannot begin to imagine. Most of them live in poverty. It is time now to give every child the gift of a world-class education, no matter where he or she lives. It is time now for every young person to have access and opportunity to a world-class education, based on their unique strengths and abilities. The world’s next greatest invention or the cure for incurable diseases may come from the mind pool of people now wasting away in refugee camps, poor villages and in remote parts of the world. We have 1 billion people in the world who are illiterate through no fault of their own. Today, there are only 200 million youth are in some form of tertiary education around the world according to the United Nations. These statistics are unacceptable to us. We are losing a vast pool of talent and creativity that could make this world a much abundant and peaceful place - which otherwise are breeding grounds for strife and conflict. This year, the Limkokwing Foundation for Creativity and Innovation embarks on a historic mission to Transform 100 Million Lives over the next three years. The dream is big, the aim is simple - to ensure that at least 100 million youths from disadvantaged backgrounds and marginalised communities are able to go to university to pursue a degree of their choice. Together with our local and global partners, we will provide full scholarships to deserving young men and women to attend any of Limkokwing University campuses around the world to gain a world-class education. Over the last 20 years, the Foundation has supported thousands of new students with scholarships and bursaries of over RM200 million annually, particularly throughout Asia and Africa. In Malaysia, the Foundation’s contribution is valued at RM10 million a year, while in Africa, it is provided for as a 50% subsidy off tuition fees for degree, associate degree and certificate programs in the future-focused industries such as multimedia technology, communications and broadcasting, product design, and retailing. Because of the poverty that has made a university education out of reach to millions on the continent, we adopted a philanthropic model together with the governments of these countries to enable as many young people as possible to attend University. Our collaboration with these governments is based on a philanthropic model - with fees at 50% less than our campuses in Asia and the UK, plus scholarships and sponsorships. We have invested millions to ensure that our campuses - even those in the poorest parts of the world have the most high tech facilities and digital infrastructure. This enables our students to have the most up to date technological skills and global mindset so they can drive the fast-growth industries in their countries over the next decade such as in Technopreneurship, Games Design, Web Design, Mobile App Design, Fashion and Retail, and Tourism. Limkokwing University has been cited by the World Bank and UNESCO for our creative and innovative model of education which is embedded in every program. Our success has led to us being invited by the World Bank to share our model of education for the developing countries in Washington and Islamabad. Limkokwing University has been recognised for its tireless effort to empower people and the transformation of communities in developing countries worldwide. In 2017, it was named an UN Academic Impact University for its culture of intellectual social responsibility. 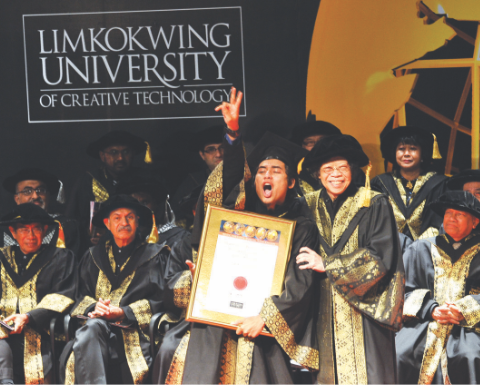 Limkokwing University today is the most globalised university in the world. We have 12 campuses across three continents - six in Africa, 5 in Asia, and one in the UK. Our education model is sparking a new conversation about closing the divide and bridging the gap in enabling access to a world-class tertiary education. Students from more than 160 countries intermingle in a new kind of learning that encourages cross-pollination of ideas and inspires universal tolerance in the world’s next generation of leaders and industry professionals.